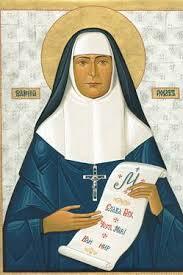 VIGIL LIGHT: This week vigil light is offered to God’s glory in memory of Frances Dmyterko requested by the Family. SESTRECHI: the next meeting will be held today after the 9:00 Divine Liturgy. CANCELLATION: Due to scheduling conflicts, the April 8th Parish Council meeting and the KofC meeting are cancelled. The next scheduled meeting dates will be announced. LITURGY OF THE PRESANCTIFIED GIFTS will be on Friday, April 12 at 7:00 p.m.
Our next PYROHY PROJECT will be Saturday, April 13. We need your help on Friday to peel potatoes and especially on Saturday to make Pyrohy (varynyky). Please come and help. See Walter Ushchak for more information. Kovbasa and Cabbage Meals: The Knights of Columbus Have available for sale a freshly cooked batch of 2 quarter pound secret, tasty recipe kovbasa and cabbage meals for $10.00 each or a 2lb. vegetable only mix for just $6.00. These meals may be purchased in the Church Hall, please see Walter Ushchak. Knights of Columbus raffle tickets are being sold in the church hall after each Divine Liturgy. 1st Prize is $5,000.00!!! The tickets are $10.00 each. Please see Michael or Mary Muryn to purchase your tickets. SVIACHENE: The traditional Easter parish “SVIACHENE” will be held on May 5, following the one (1) Divine Liturgy. We will celebrate only One Divine Liturgy at 10:30 a.m. We will be running a raffle. If you would like to donate any items to be raffled, please bring them to our church hall on Sundays before our “Sviachene” or on Sunday, May 5. Tickets are $25.00 for adults, $10.00 for youth from 12 to 18. Free for altar boys, and under 12. Also we ask you to donate cakes for desert. We trust that all parishioners will join this parish gathering and through their presence attest to cherishing in our hearts a love for one another which builds our PARISH FAMILY. The 16th Annual Easter Egg Hunt, sponsored by the Ukrainian National Association- Branch 414, will be held on Sunday, April 14 (Palm Sunday), 12 noon, on the rectory grounds for children from 0 to 14. Participants are asked to bring a basket for collecting eggs. Contact Gloria Horbaty or see flyer. The Synod of Bishops of the Ukrainian Catholic Church have designated April 7, 2019 – April 7, 2020 as a special Jubilee Year marking the 100th Anniversary of the passing into eternal life of Blessed Josaphata Hordashewska, the co-foundress of the Sisters Servants of Mary Immaculate. The official opening of the Jubilee Year for Blessed Josaphata will take place on Sunday, April 7, in Lviv. For more information, visit the website of the Sisters Servants of Mary Immaculate. A lecture will be given this Monday, April 8 at 7:00 pm by author George Weigel from the Ethics and Public Policy Center, on his new book The Fragility of Order, Catholic Reflections on Turbulent Times (2018). This includes Ukraine as part of the lecture. This event will take place at St. Mary’s Parish, 5 Hillhouse Parish, New Haven. A reception will follow. You may register at the Thomistic Institute. 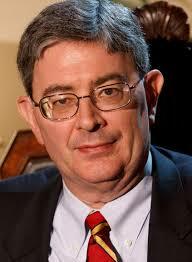 George Weigel has been a great advocate for the work and life of the Ukrainian Greek Catholic Church. Recently, he wrote an appreciative essay on Archbishop Borys Gudziak that can be read here. All meetings at the Parish on this day have been canceled to allow parishioners to take advantage of this unusual opportunity. Helping the poor —The Director of the St. Vincent DePaul Homeless Shelter in Waterbury wrote to us requesting assistance in collecting bath soap, tooth brushes, tooth paste, deodorant, Q-tips, men’s underwear for the ministry to the homeless. We will have this collection for the poor through Pentecost (June 9). These items can be put in the basket at the entrance of the church in the marked box. Can we follow the example of the Lord who exhorted us to care for the poor? Let us follow the holy example of the Venerable Metropolitan Andrey Sheptytsky who heroically lived a life of Christian virtue with his commitment to the poor. Pray to Venerable Metropolitan Sheptytsky for guidance in living a holy life. Paul Zalonski (of our parish) will drive the donations to St. Vincent DePaul Mission of Waterbury Homeless Shelter in Waterbury (www.svdpmission.org). A recent online interview about a family of Evangelical Christians who came to Byzantine Christianity through a relationship with the pastor of a Kyivan Church in Richmond, British Colombia. Thanks to God’s Grace and the great work of Jesuit Father Richard Soo the parish is growing (with a large number of Chinese people). May the Holy Theotokos and all the saints continue to move hearts and minds to be in relation with Jesus Christ and His Church. This week the vigil light is offered to God’s glory in memory of all deceased of Waselik family. by members of the family. The Divine Liturgy of Presanctified Gifts (compiled by St Gregory the Great) will be celebrated on Friday, April 5 at 7:00 p.m. Please come and join in this beautiful tradition of our Church. 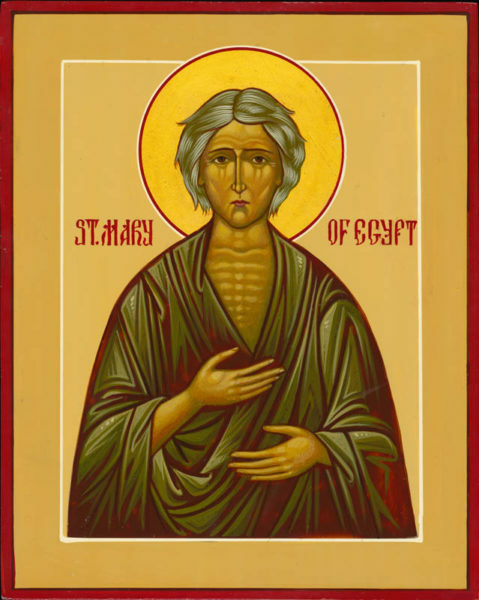 Sestrechi will next meet on Sunday, April 7, after the 9:00 a.m. Divine Liturgy. The meeting will be held in the church hall Classroom 1. The next Parish Council meeting will be held on Monday, April 8, at 6:00 p.m. in the Holy Name Room. All council members, organization representatives and interested parishioners are invited. The next meeting of Knights of Columbus Blessed Metropolitan Andrey Sheptytsky Ukrainian Council will be held on Monday, April 8, 7:00 p.m. in the Holy Name Room. All men of the parish are invited to attend. The traditional Easter parish “SVIACHENE” will be held on May 5, following the Divine Liturgy. We will celebrate only one (1) Divine Liturgy at 10:30 a.m. We will be running a raffle. If you would like to donate any items to be raffled, please bring them to our church hall on Sundays before our “Sviachene” or on Sunday, May 5. Tickets are $25.00 for adults, $10.00 for youth from 12 to 18. Free for altar boys, and under 12. Also, we ask you to donate homemade cakes for desert. We trust that all parishioners will join this parish gathering and through their presence attest to cherishing in our hearts a love for one another which builds our parish family. Knights of Columbus raffle tickets are being sold in the church hall after each Divine Liturgy. 1st Prize is $ 5,000.00!!! The tickets are $10.00 each. Please see Michael or Mary Muryn to purchase your tickets. The annual Pysanka Demonstration and Workshop will be held on Sunday, March 31, from 1:00 p.m. to 3:30 p.m. in the church hall. This is wonderful opportunity to carry on an old tradition. Bring your family-children and grand-children. There is no charge for parish youth or students of Ridna Shkola. Today, Friday, March 29, at 7:00 p.m. Father Iura will serve the Divine Liturgy of the Presanctified Gifts, in English and Ukrainian. This is our weekly Lenten devotion. Join us in prayer and the reception of the Eucharist. Bring a friend.